Richard Fleischner, who directed the 1966 cult film Fantastic Voyage, would have been delighted with Bradley Nelson's research: similar to the story in Fleischner's film, Nelson wants to load tiny robots with drugs and manoeuvre them to the precise location in the human body where treatment is needed, for instance to the site of a cancer tumour. Alternatively, the tiny creatures could also be fitted with instruments, allowing operations to be performed without surgical intervention. The advantages compared with conventional treatments with drugs are clear: far more targeted therapy, and as a result, fewer side effects. Nelson isn't a dreamer or a storyteller — he is Professor of Robotics and Intelligent Systems at ETH Zurich, and he has an international reputation for his micro- and nanorobots. He still holds the Guinness World Record for the "most advanced mini robot for medical use." His robots are typically just a few micrometres in size and are inspired by nature. He derives models for his own micrometre-scale mechanical propul- sion systems by observing microorganisms and seeing, for example, how the flagellum — a sort of curly tail that aids in movement — works in bacteria. The robots get the energy to move from an external impulse, such as an electromagnetic field. Although this vision seems to be science fiction, Nelson's group is gradually making it a reality: in an in vivo experiment, they were able to accurately guide a swarm of 80,000 microrobots within a mouse to demonstrate the delivery of a model drug to targeted locations. Nevertheless, the researchers still have to resolve a number of questions before they can address the first set of applications in humans. The questions focus on materials and design: "When designing robots like this, we can't rely on our intuition because, on this small a scale, materials often behave differently than we are used to," explains Nelson. Special 3D printers have expanded the range of materials used in microrobot design, going beyond semiconductor metals to include polymers. As a result, last year Nelson's team in collaboration with Professor Christofer Hierold's team was able to create a robot from a biocompatible biopolymer that dissolves in the body after completing its task. In his latest publication, Nelson goes one step further. The microrobots presented there can transform their shape depending on the environmental conditions, which is why Nelson calls them "origami robots." The change in shape can be stimulated by a change in the pH of body fluids, a temperature difference or a light pulse. The robots' plasticity is based on a multilayer structure with different hydrogels. Since the biopolymers expand or contract differently under external stimuli, the robot is able to change shape. "Fifteen years ago we were just getting started, but today we are already able to control many different mechanisms very precisely," says Nelson. The next big challenge is autonomy: "We're examining how we can make the microrobots intelligent," he says. Specifically, once they have been released in the body, the researchers want the tiny devices to find the targets on their own — just as natural single-celled organisms have been doing for millions of years. Nelson isn't the only ETH researcher who is fundamentally rethinking medicine: Martin Fussenegger, Professor of Biotechnology and Bioengineering, is planning a minor revolution in medical therapy. He thinks it's "outrageous" that we simply pump drugs into our bodies, usually relatively late in the course of the illness, and then hope for the desired effect. That's why his team in the Department of Biosystems Science and Engineering (D-BSSE) in Basel is pursuing a different route, intended to get the treatment to the core of the illness. "We reprogram the body's cells to be biological surveillance systems. In the body, they respond quickly to illnesses," says Fussenegger. These "molecular prosthetics" will be aimed at compensating metabolic defects that are responsible for such illnesses as diabetes, cancer and obesity. 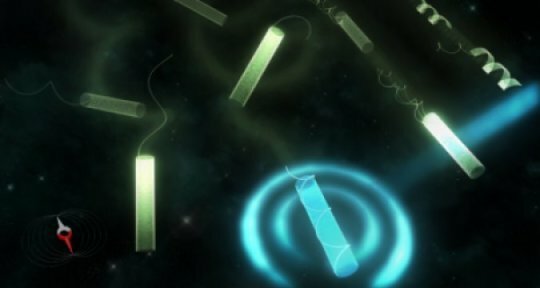 To allow the most precise control possible, Fussenegger's group developed a synthetic implant that combines the light source (a tiny infrared LED) and a semipermeable culture chamber with the genetically modified cells. The lamp is then powered inductively by an external electromagnetic field. This sophisticated system paves the way for mind-directed therapies, for instance by means of an electroencephalogram recorded on the patient's forehead. Fussenegger is certain that "such optogenetic therapy systems will be an important component of personalised medicine." The implant tested in the mouse model was the size of a 2-Swiss-franc coin. The next generation will be more along the lines of a matchstick and will require significantly less energy. "In future, the electricity for activating the lamp — and thus the protein production — could also come from a smartphone or a watch," predicts Fussenegger. This would open up completely new possibilities for the doctor patient relationship: a doctor in the US could control the insulin level of a diabetes patient who is currently traveling in Europe by activating the production of the designer cells over the internet. At least, that's one vision of medicine in the coming age of the internet of things. The above post is reprinted from materials provided by ETH Zurich. The original item was written by Samuel Schlaefli. Note: Content may be edited for style and length.